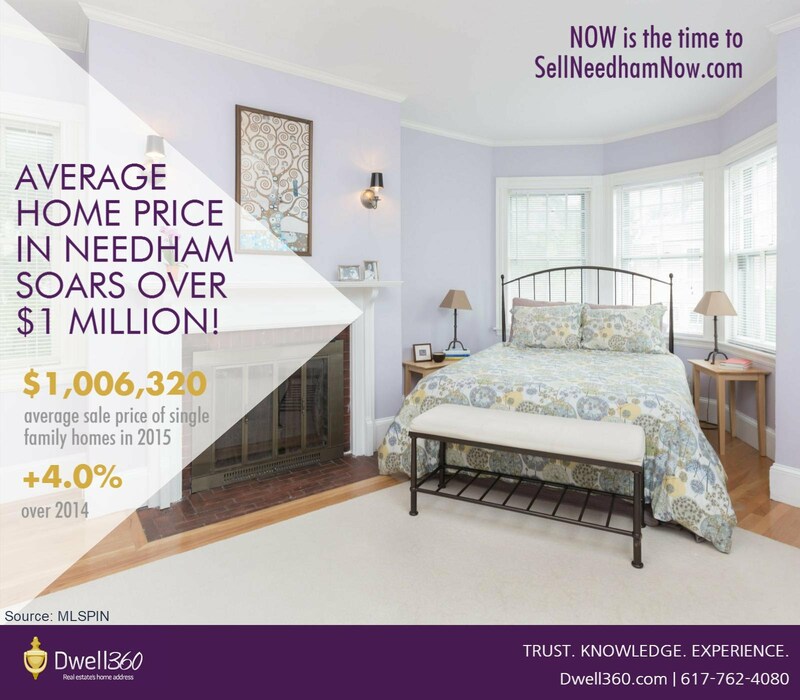 In 2015, the average sale price of a single family home passed a record breaking $1 million mark in Needham, Massachusetts! Last year Needham experienced continuing positive gains in the residential real estate market. The number of homes sold jumped from 300 in 2014 to 336 in 2015. In addition, home sale prices rose over 4%! This marks the third consecutive year of single family home price increases in the town but the first in which the average sale price sits above $1 million. Buyers continued to aggressively seek real estate in Needham enticed by still low interest rates. Despite the rise in homes sold in 2015, the inventory remains low making for a strong seller's market. Condominium prices rose an impressive 12.6% to $646,971, the highest price ever seen. With the inventory rising slightly to 53 sold in 2015, the demand remains high and any condominiums are being snapped up by buyers. After a sharp decrease in multi family homes in 2014, 2015 proved to be the comeback year for Needham! Multi family home prices leaped an astounding 88.1% with an average sale price of $755,000. Inventory of multi family homes in Needham remain extremely low, so 2016 is a great year to be a seller! Positive changes in the market will continue to be true in 2016, but will require sophisticated navigation to ensure success. Dwell360's real estate agents use an innovative and progressive marketing approach to connect with today’s buyer. We combine a positive attitude, state-of-the-art digital marketing, and time-tested marketing tools that create an impact. Contact us to navigate through this changing time in real estate with agents both progressive and experienced in today’s market. Market Data Source: MLSPIN, as of 1/14/2015 and 1/15/2015.